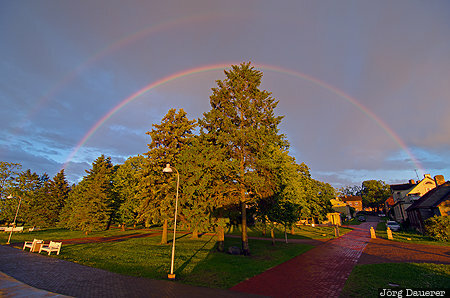 A double rainbow at Haapsalu Promenaad at the coast fo the Baltic Sea created by the setting sun in front of dark clouds. Hapsalu is in Lääne in the west of the Baltic state Estonia. This photo was taken in the evening of a sunny day in June of 2014. This photo is part of the exhibition Rainbow (February 2017). This photo was taken with a digital camera.